These are another favourite of mine.Well made fish catchers. Pictured are a timber Wompa, 3 small Dee Bobs 2 moulded 1 timber. Goodoo, they are nice. 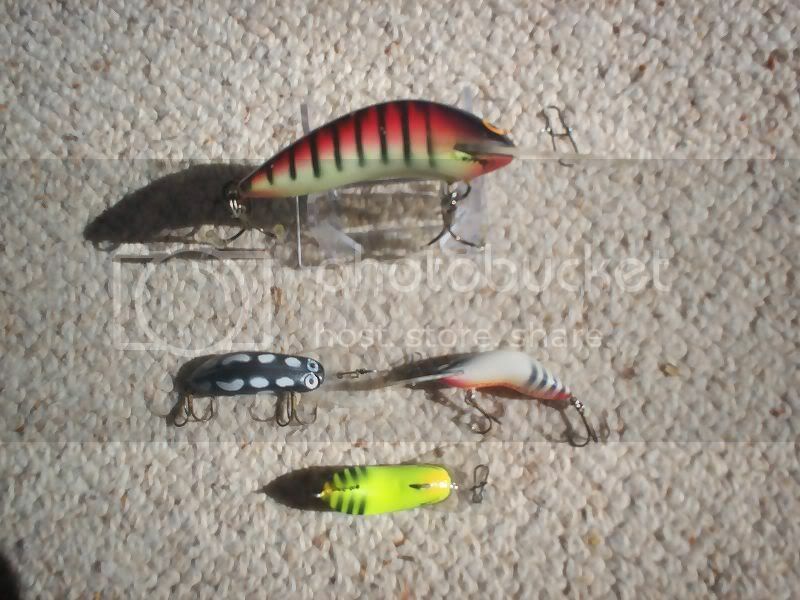 I know a big good looking lure maker(ugly as) who loves these too. I think I know who you mean Ziggy.Does he visit here? Goodoo,he`s trying to, been busy of late I think. Nice lures. Another New England maker I need to collect. I have John's number in my phone and have been trying to catch him at home but everytime I go through town he's not. I think he's been a member here for quite a while. A couple of old metal bibbed Wompas.